Lucie Laurier in a publicity still for the feature Nitro. She was nominated for Best Supporting Actress at the 1987 Genie Awards for her performance in Léa Pool’s Anne Trister. Her work in J’aime, j’aime pas led to Laurier being named “Discovery of the Year” by the Rendez-vous du cinéma québécois in 1997. 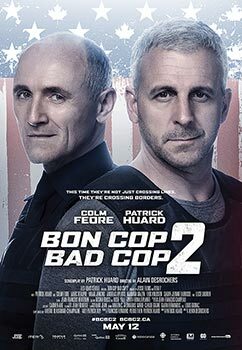 Poster for Bon Cop Bad Cop 2 courtesy of Les Films Séville.